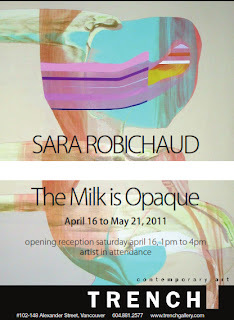 I am so excited that I get to go to Sara's opening exhibit for "The Milk is Opaque" at the Trench Gallery today. I love seeing her work in real life as amazing as they are online, the web just does not do them justice. They are so large and the movement, variations in color and surface qualities make each painting a feast for the eyes :) Even though most of her paintings are very large, I end up standing there with my face inches from the canvas. The Trench is a newer gallery in gas town within walking distance from the Waterfront Sky Train Station. If you are in the Vancouver area check it out. 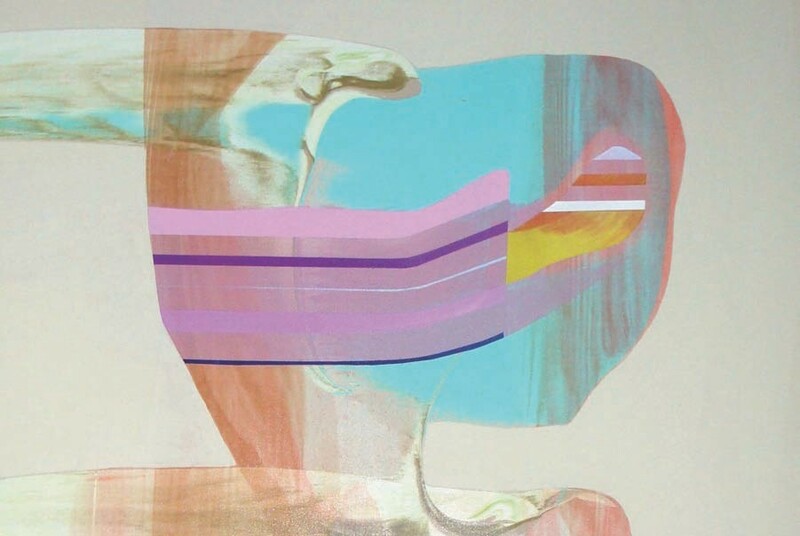 The opening reception is today, April 16 from 1-4pm with Sara in attendance and the show will be on display until May 21, 2011. 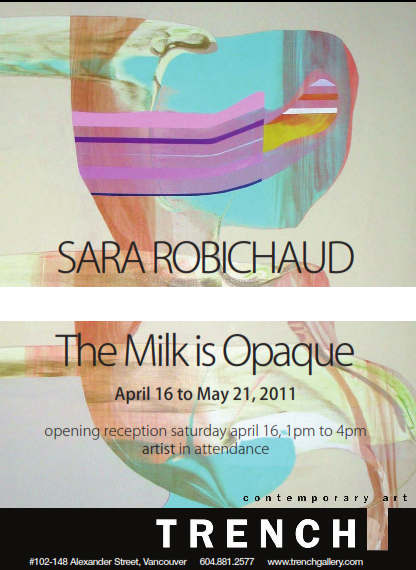 Check out Sara's website at www.sararobichaud.ca to see more of her work.